First up on Tuesday is Best Buddies Virginia's Life Is Sweet 2 Pastry Chef Showcase at the Four Seasons Hotel in D.C. Nearly 20 of the area's best pastry chefs will create, with help from their buddies, desserts for guests to sample. Champagne and wine will also be available. Click here for tickets and more details. 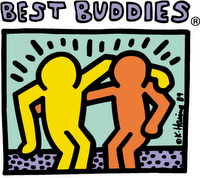 The event benefits Best Buddies, which is dedicated to enhancing the lives of people with intellectual disabilities by providing friendships and jobs. Tickets are $90. The event runs from 6:30-11 p.m. 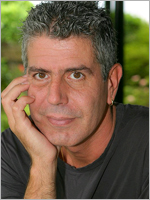 The third annual Capital Food Fight will draw an all-star roster on Wednesday night, with author Anthony Bourdain (pictured), Food Network hosts Marc Silverstein and Dave Lieberman, and WAMU's Kojo Nnamdi heading up the event. Chef José Andrés started the event in 2004 as a fundraiser for DC Central Kitchen. This years's event takes place at the Ronald Reagan Building from 6:30-9:30 p.m., and tickets are $125. Check out DCist's take on the event for more. And as always, check out The List for a comprehensive calendar of foodie events. Thanks for the heads up on these. Informative, of course.